Powervault customer Glen Brown tells us why he thinks having a smart home battery is a ‘win-win’ situation. At Powervault, we want to know that your smart home battery is fitting in with you and your home. 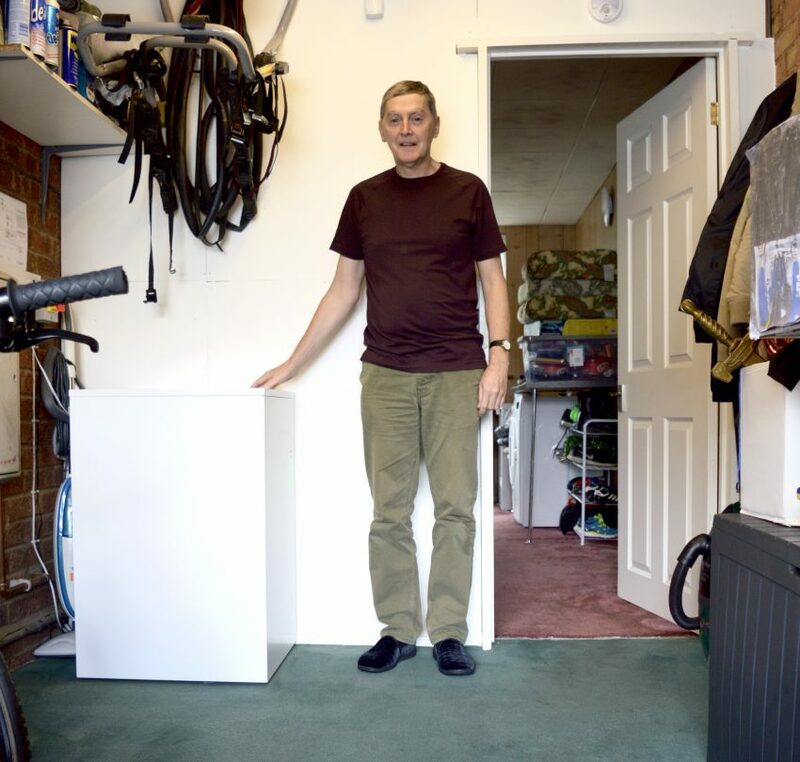 We spoke to customer Glen Brown in Tamworth about his experience with his Powervault. How long have you had solar PV installed in your home? OVO Energy fitted it in September 2011. Why did you decide to get a home battery system installed as well? I don’t see myself as a huge geek, but I do like to keep up with my energy use at home. I take a meter-reading each week and record my electricity, gas, and solar PV, which I then put into a spreadsheet so I can see what I’m generating and what I’m consuming, and what I’m getting from the feed-in tariff. Seeing, month-on-month, year-on-year that with my solar panels I was generating far more energy than I was using, it just seemed to make sense to try to maximise it, and to see if I could put some of that surplus energy into storage to use at a time when I needed it. Why did you decide to go with Powervault for your battery system? 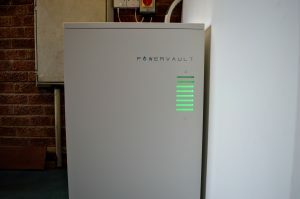 When I decided to find a way to store my surplus solar energy, I looked online for how I could do this, and Powervault came up with some other options. I did some research and when I considered what my own household needs would be it seemed that Powervault would be best able to meet those needs at the best price. As I’m not in a huge house, and I know the size of my solar array, I didn’t need a massive system, but Powervault was able to provide me with the right storage capacity for the amount I generate. I liked the choice of the range. I went for the Lead Acid Tubular Gel in the end, as even though I would have liked to have gone for the Lithium-Ion at the top of the range, I was wary about the extra cost, and the Lead Acid was able to meet my needs comfortably. The sales team did give me some sensible and reassuring advice, that if I didn’t want to pay for the most expensive model now, when my system is ready to be replaced it can always be upgraded to a Lithium-Ion battery, which is something I’ll definitely consider. Also, because I know that during the winter I don’t generate as much electricity, I won’t be charging my batteries up to full capacity. I like that Powervault’s system allows me to top it up with my energy tariff and use it during the day and the evening, and I still get cheap electricity during the daytime. What benefits have you felt from having a Powervault installed? The system is performing really well; throughout the summer (and it’ll be interesting to see it during the winter) I’ve been able to see that it’s charging up fully, plus with the inverter I can see what I’m generating, and I know roughly how much I consume. It’s been great to just look at the unit and know that I’m generating surplus power and that it’s being stored for later. I see it as a win-win situation. I’m also very conscious of the environment, and I think we need to be more aware of green issues. I think that if we can cut down on the amount of energy that we’re using from the grid, then that will not only benefit us as consumers by saving us money, but it goes further and allows us to do better in reducing our CO2 emissions. I think that we have to think long term a little. You do have to pay more for the initial outlay with something like a home energy storage system, but in the long run you see the benefits both financially and environmentally.